South Dakota has various laws regulating the legal age an individual needs to be to consume, sell, or serve alcoholic beverages and other regulations regarding the sale and service of alcoholic beverages. Within South Dakota, the legal age to consume alcoholic beverages is 21. 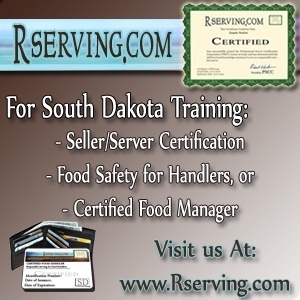 There are also rules and regulations regarding what is required to become a bartender in South Dakota. You must be at least 21 to sell alcohol in South Dakota. You must be at least 21 to serve alcohol in South Dakota. In South Dakota, you need to make a reasonable attempt to investigate the age of the person attempting to purchase alcohol. This is done by thoroughly examining an age-bearing photo ID that would, according to the SD Statutes, "appear valid to a reasonable and prudent person" (35-9-1.2).